We sync data from the Amazon marketplace to provide you with the best product and market intelligence. Complex data aside, we provide support for humans, by humans - experts who know the nook and corner of the Amazon selling. The best product ideas come from other businesses around you. Entering a proven market niche results in skyrocketed growth. Hack your way to success by taking inspirations from these best sellers to private label them to generate Amazon income. Hundreds of red-hot trending, best sellers and newly released bestsellers to take inspirations from. Make the best of the opportunity by entering the niche with an exemplary private label and quickly grew a successful brand from it. With the complete suite of tools to research the viability of the products, nothing could go wrong in your product research! Our tailor-made product opportunity score algorithm analyzes five key factors detrimental in evaluating long-term product sales, including the market demand, niche opportunity competition, and the profit margins. Collecting over 300 million data points from over 35 million products every day, Sell Metric powers up Amazon product research within a few clicks. Data points like the weight, dimensions and the product opportunity score are great pointers to shortlist the best products. With a little research and a keen eye, you could uncover best selling product opportunities from proven products with overwhelming sales potential. 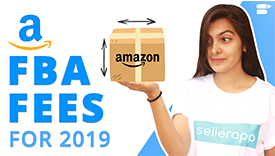 Whether you are expanding your product line or setting up your first product release, Product ideas help you seize great opportunities from the exhaustive Amazon marketplace. We believe the is pretty great, But don’t just take our word for it…. What Amazon marketplaces are supported? Can I see a demo of the product before I sign up? How safe is my Amazon data?